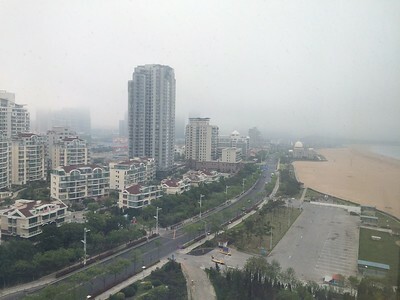 Of our hotel in Qingdao, China on a foggy morning. 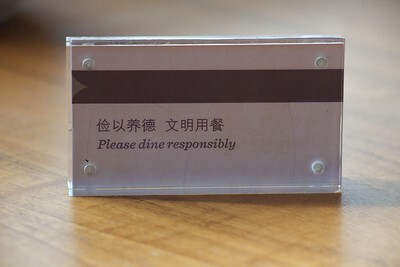 On the table for the breakfast buffet in our hotel. 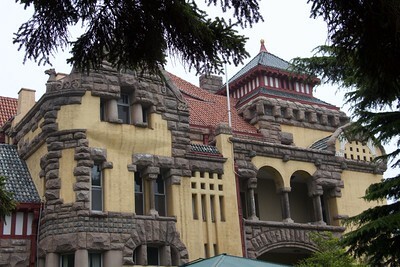 Formerly the governor-general's residence during a brief period of German occupation at the turn of the 20th century, this building is now a guesthouse for visiting VIPs. We were told several times that Mao stayed here at least once. 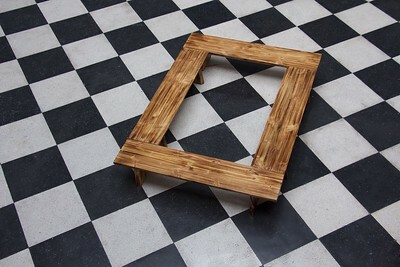 A bench on the main floor of the Qingdao Art Museum. 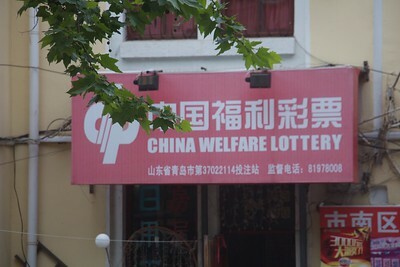 I found it odd that they would have a lottery, or admit that welfare was needed. 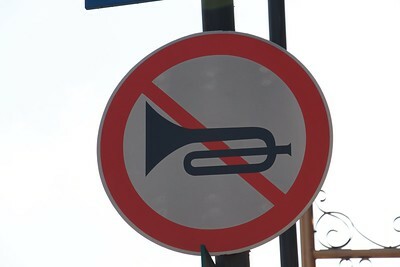 We saw these signs in many different Chinese cities. Most drivers ignored them. 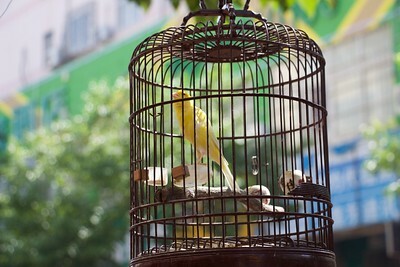 Some birds are symbols of freedom and happiness in China. 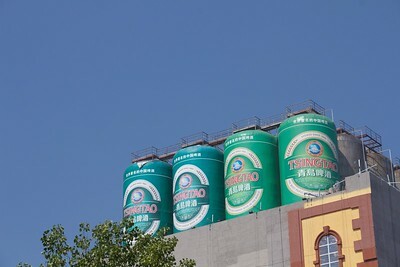 The only Chinese beer exported outside the country and a legend in this area. 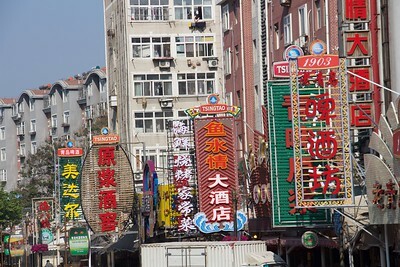 In the neighborhood of the Tsingtao brewery are dozens of beer gardens like these. 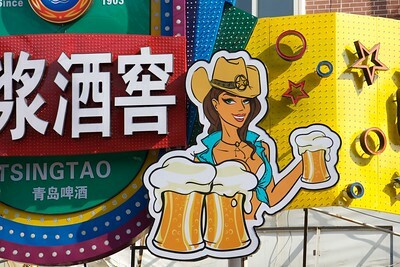 Not the kind of imagery I expected to see in China. 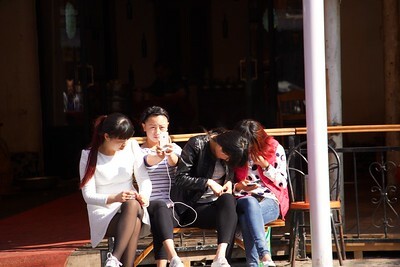 Many, if not most, of the teens we saw in China were interacting with their smartphones in some way, with many, many selfies. This young man was sitting with his mother and probably didn't like that I was blocking his view of the beach. A couple waiting on a bench for their photographer to return. 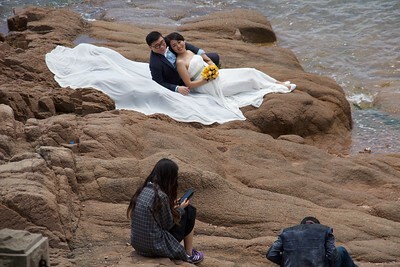 Engaged couples in China commonly hire a photographer to compile a wedding album before the actual ceremony. We saw lots of them working along the shore in Qingdao. The little sausages on a stick seemed to be popular snacks. And something is very interesting on that phone. Another couple posing for their photographer.